Discussion in 'News in Nigeria' started by djayz1, Oct 18, 2016. 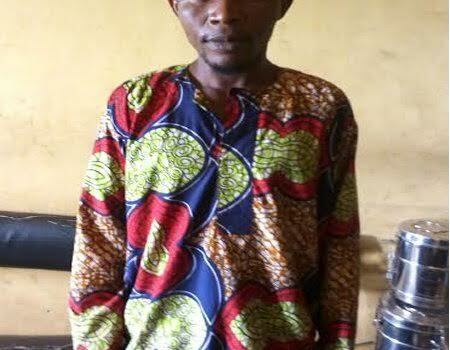 Men of the Ogun State Police Command have arrested 37-year-old Razak Adekoya for beating his 10 year-old son to death. Spokesman of the command, Abimbola Oyeyemi, who confirmed the incident said that the deceased, Waris, was subjected to beating by his father over allegation of stealing. Preliminary investigation revealed several marks on the body of the boy as a result of series of torture he suffered. Oyeyemi said the suspect was arrested by policemen attached to Ago-Iwoye Division, following a tip off from members of the community. The remains of the boy have been deposited at St. Joseph Catholic Hospital Mortuary, Oke-Agbo, Ijebu-Igbo for autopsy. According to The Nigerian Tribune, the state Commissioner of Police Ahmed Iliyasu ordered that the suspect be transferred to Homicide Section of Criminal Investigation and Intelligent Department, Eleweran Abeokuta for further investigation.